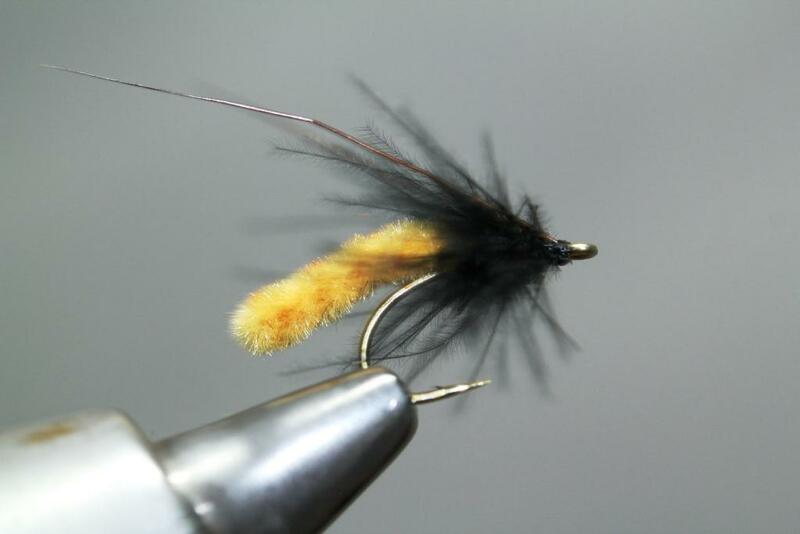 This is just a variant of the Finnish Caddis Pupa. This is a swimming variant. Drop the rabbit and the ostrich, just twist polychenille. Replace the collar with cdc and put on some antennas for the fun of it. This detail is absolutely not necessary! Hook is TMC 2487 sz.12.